I've done it. I have been skinny dipping. How on earth I missed out on doing this sooner I don’t know. Another tick off the 40/40 Project List! No.7 to be exact. And I did it somewhere rather special. At The Mermaid Pool on Burgh Island. We waited until a few minutes to midnight and then slipped upstairs to our room to change in to some black ‘stealth’ clothing. Needn’t have bothered though as on our way out through the hotel doors we bumped in to a few of the couples we’d met earlier that day having a smoke. "Where are you off to" they inquired..
"So you’re really going to do it then? Skinny Dip"
They laughed and wished us luck. However, the pool was lit up with a green light. Eek. I’d not expected that. Not to worry though as the lights went out as soon as we started to make our way slowly down the gravel slope to the waters edge. It was still, quiet and dark. Evidence. One of the more decent photos! I whipped off my clothes and paddled in. I didn't squeal as it was actually rather warm! Wow! I swam around and really enjoyed the experience. It felt rather naughty. Mr CA still stayed on the shore. He wasn't tempted one jot to jump in and join me! Can't think why...! When I felt I’d had enough I made my way out of the pool and dried myself. We wrapped up and made the way back up to the bar. The couples we’d seen on our way out were waiting for us! "YES" I said jumping about and punching my fist in the air! Not sure if that was appropriate behaviour for a 1930s lady...but what the heck. A huge cheer erupted followed by a round of applause. It felt wonderful as I hadn’t been expecting this at all. I wanted to get changed back in to my evening gown and then celebrate with a cocktail. So that’s what we did. Returning to the bar – the new friends waiting for us had got me a ‘cake’ with a birthday candle (It was actually a piece of bread!) and then sang happy birthday to me. It was FABULOUS and a great way to officially start my year of being 40. When was the last time you went for a skinny dip? This certainly won’t be the last time for me! Here's how the Mermaid Pool looks in daylight. Such a beautiful place. Go you! 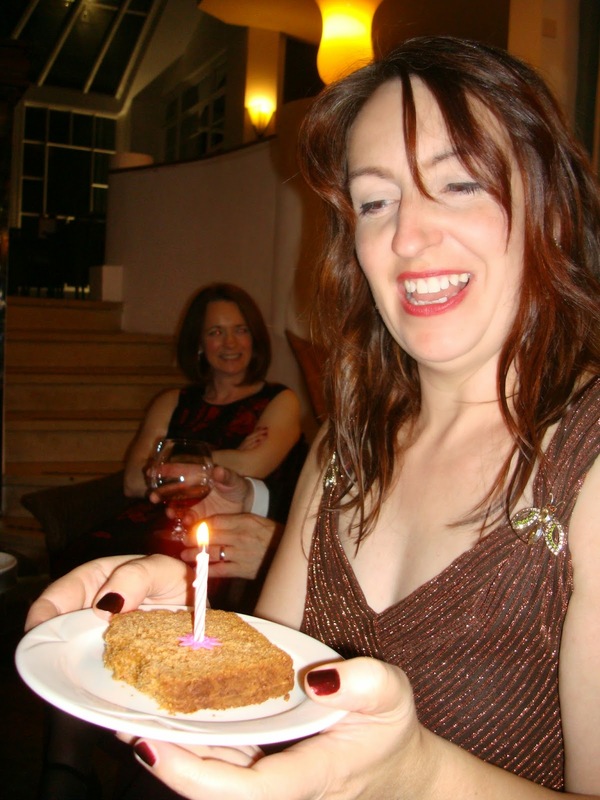 Love your slice of bread birthday cake too - hilarious! Yes, swimming naked is a funny feeling. I skinny-dipped in a private pool nearly 10 years ago. The friends I was with were going to do it too but then they chickened out so I was the only one! A taste of what’s to come in 2015!